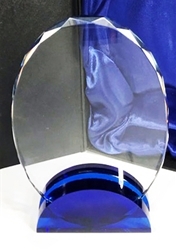 Blue crystal base reflects a stunning hue throughout the facets of the clear tower. 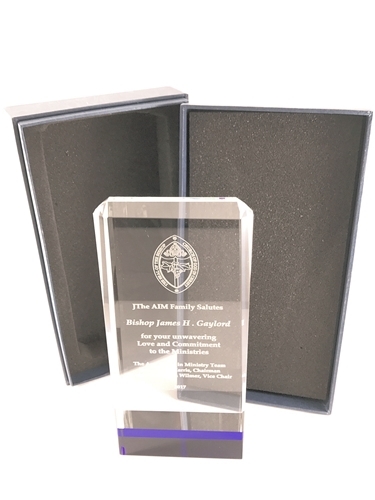 These crystal towers are over one inch thick and substantial in weight. 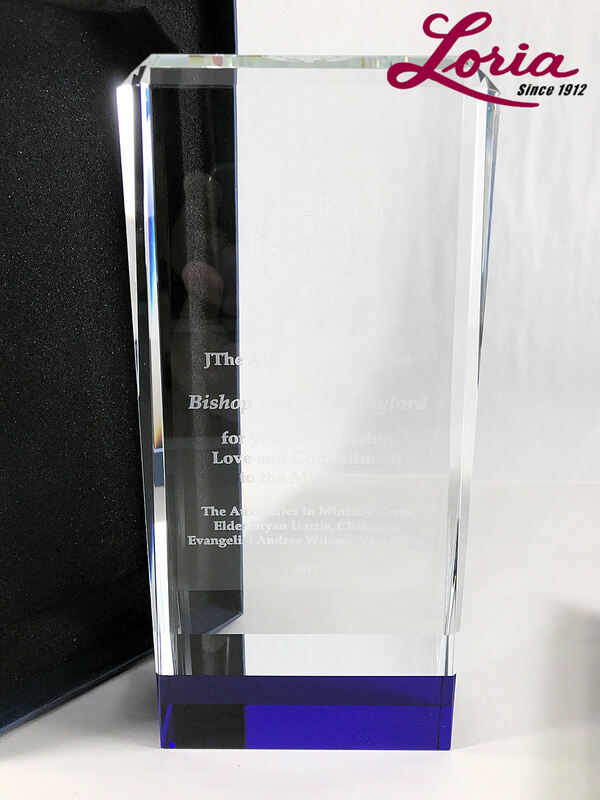 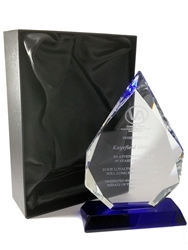 Was very impressed when I received the package with the award for one of our customers. 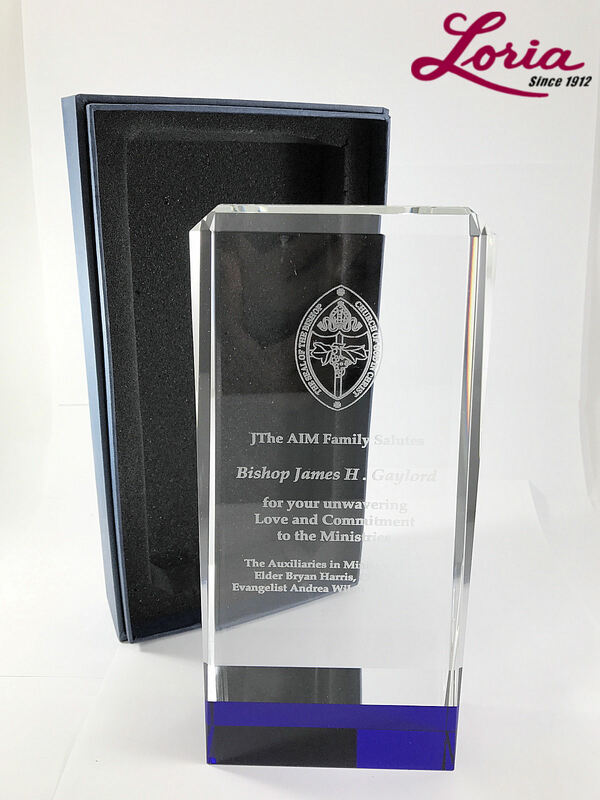 The package was packed extremely well, and inside it was a very nice custom box with the award snugly packed inside. 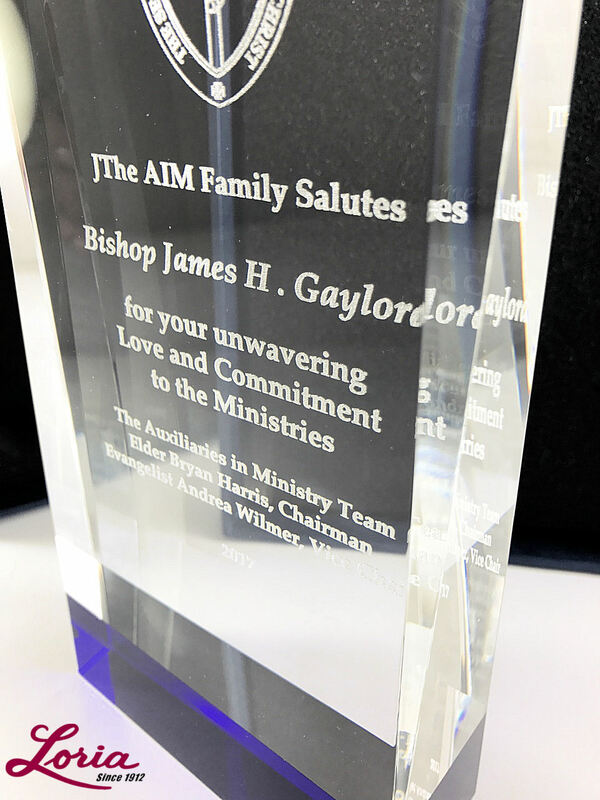 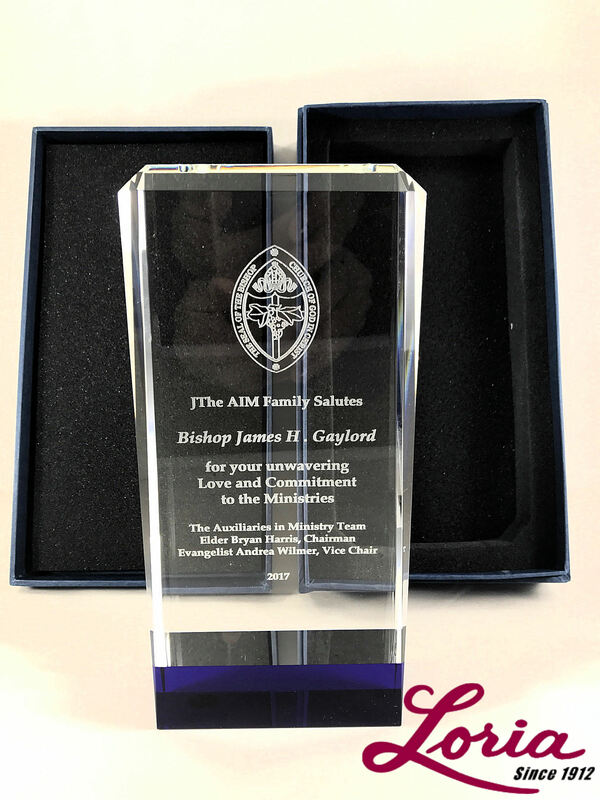 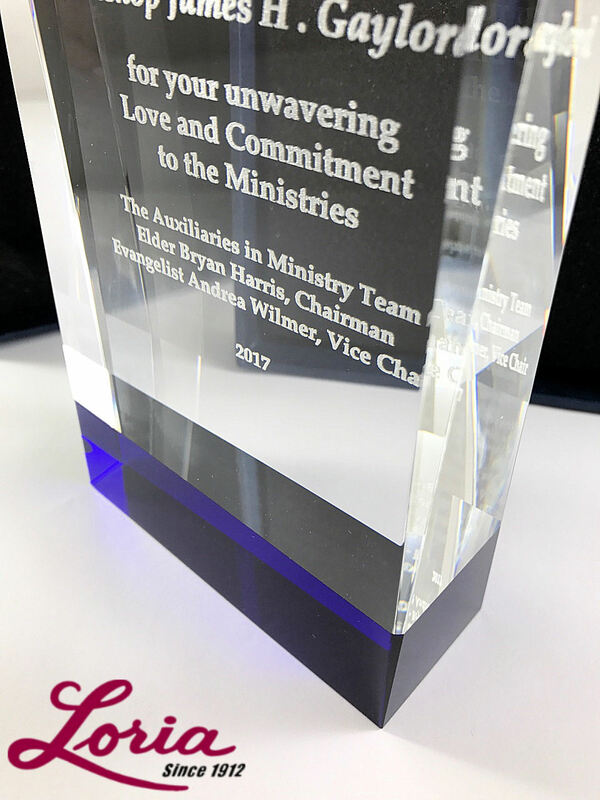 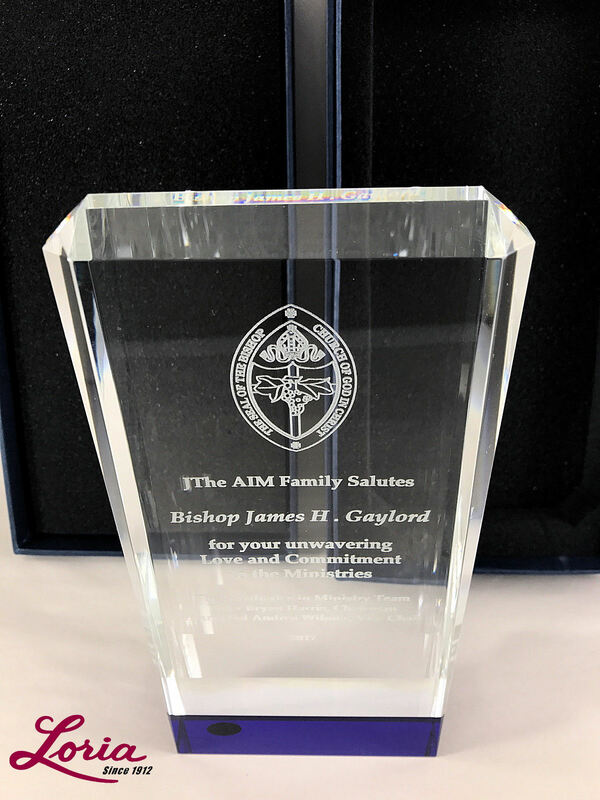 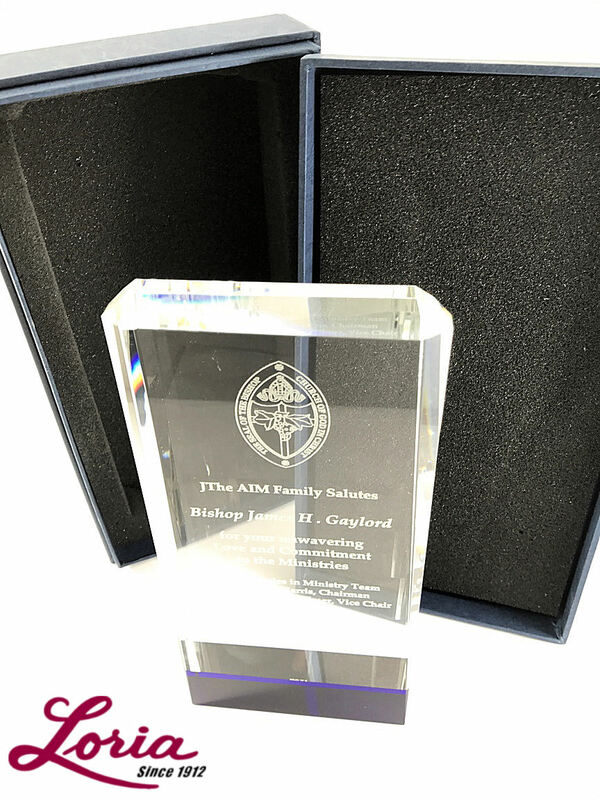 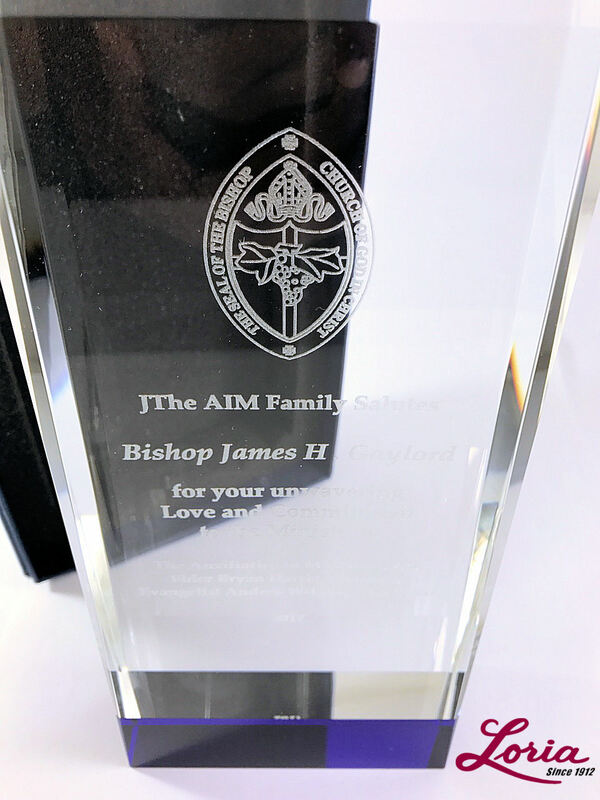 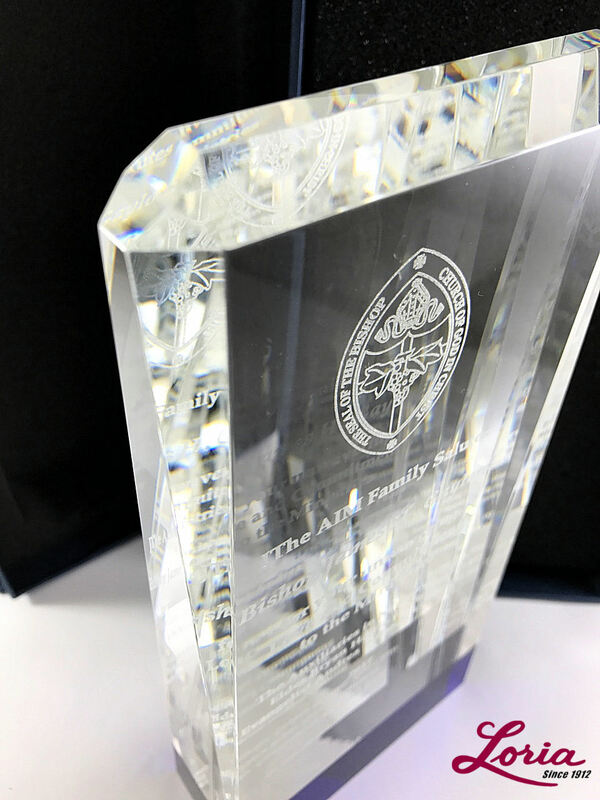 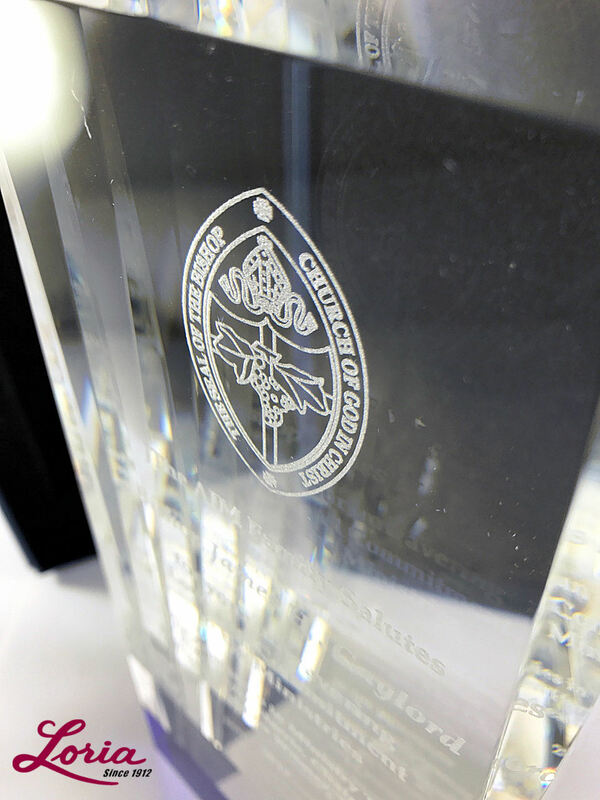 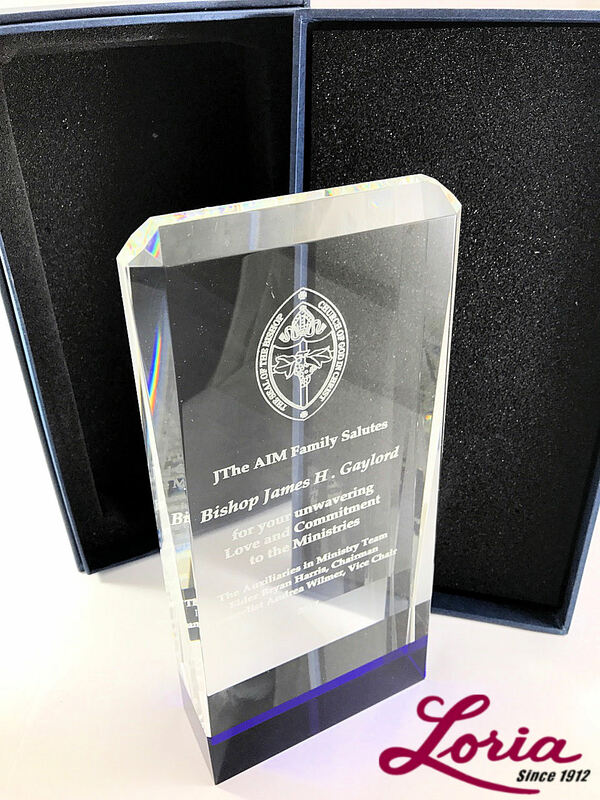 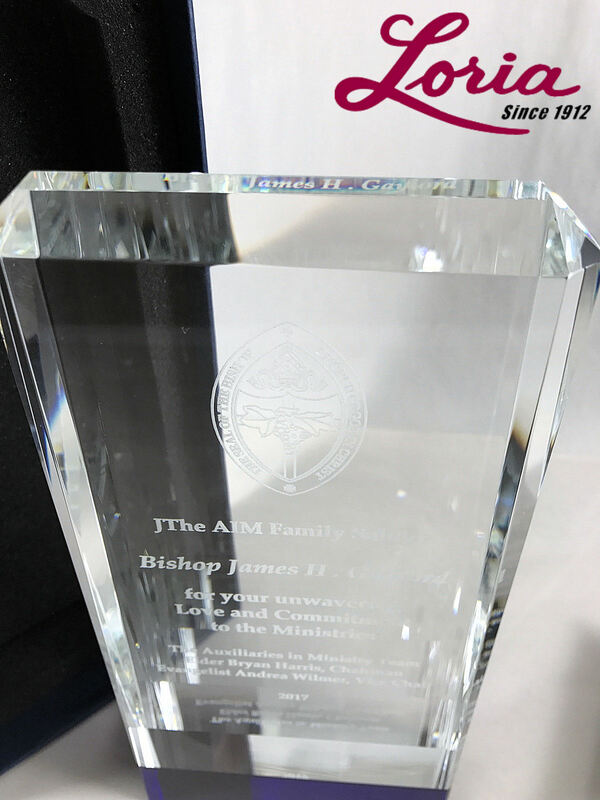 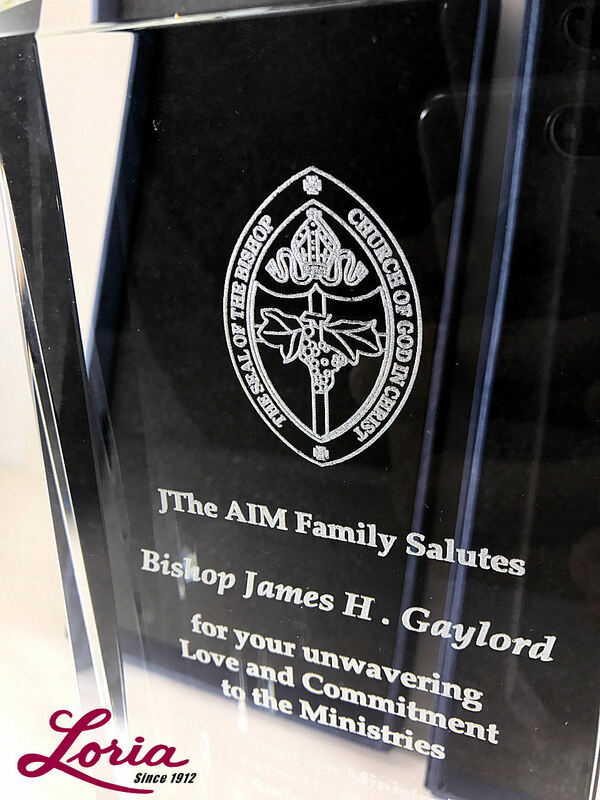 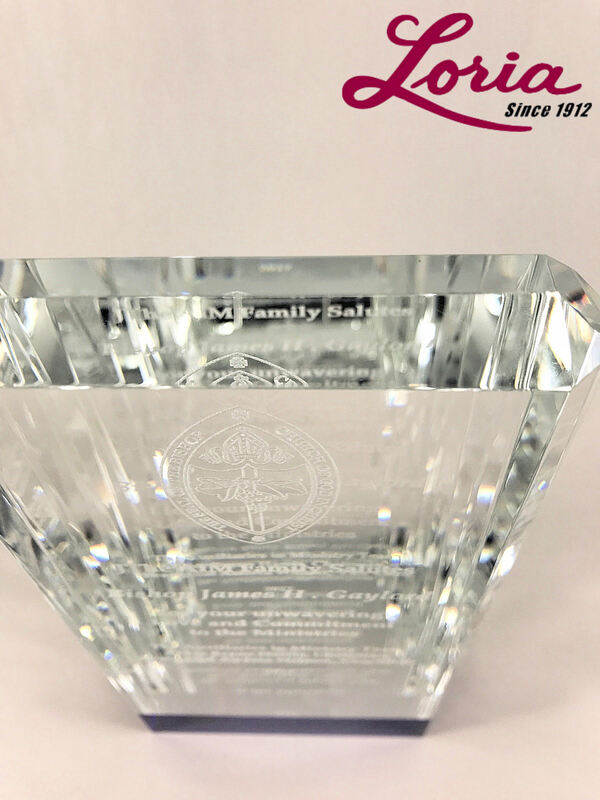 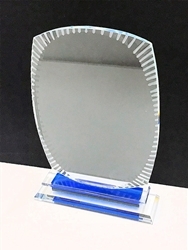 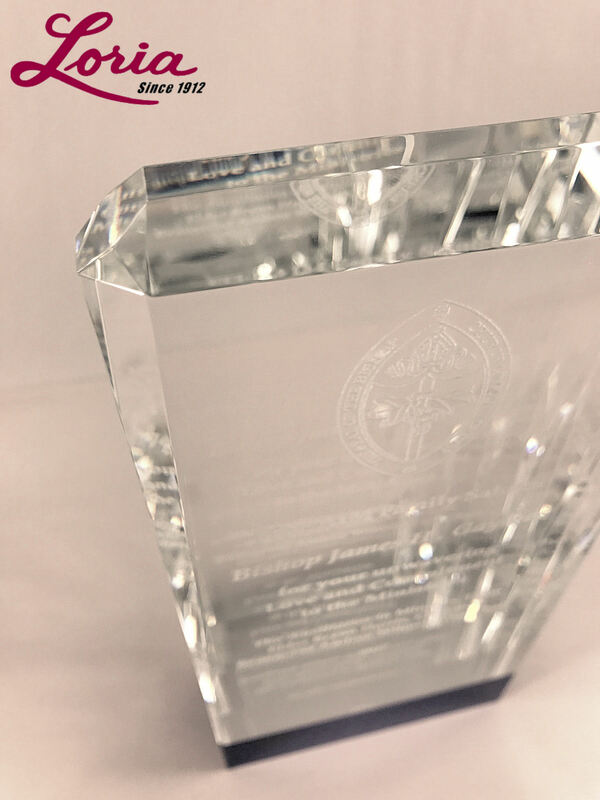 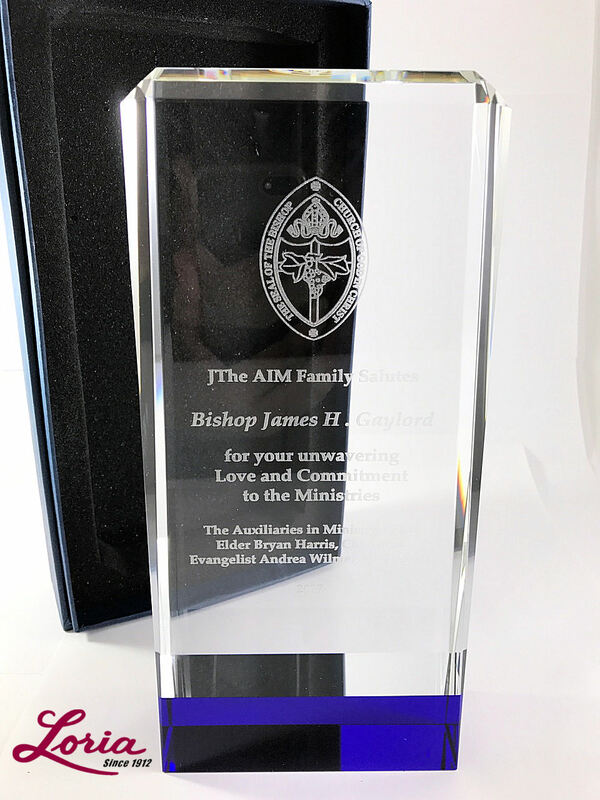 The weight of the box indicated there was a substantial, high-quality award inside, and upon opening the box and viewing the award, I was extremely happy with the crystal, the engraving and the whole look and feel. 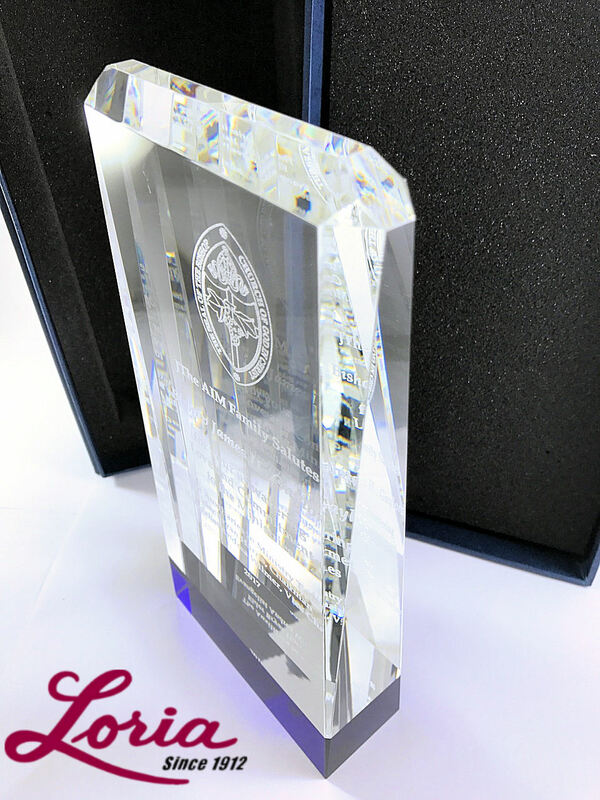 Would highly recommend this award and Loria.